The two most nominated artists in this year's award show come out of the hip-hop category. The biggest night in music is underway, the 61st Annual Grammy Awards! The show will begin at 8 pm EST. on CBS which will be broadcast from the Los Angeles Staples Center. Kendrick Lamar leads all nominees with eight nominations and Drake a close second with seven. 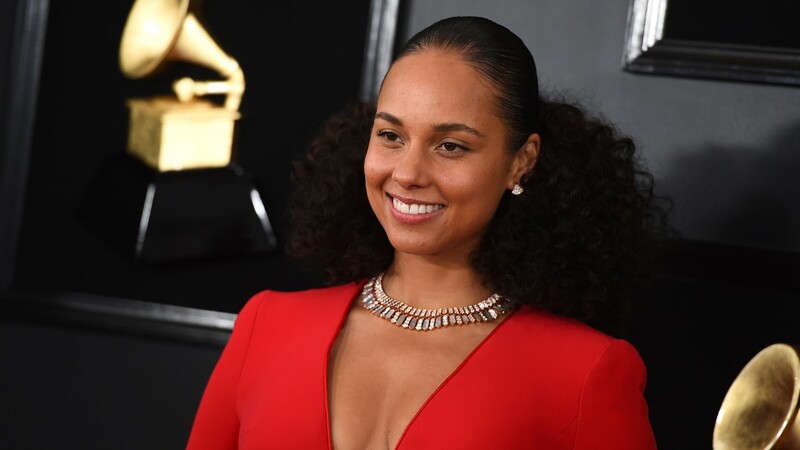 15 time Grammy winner and host of the 61st Grammy Awards is none other than singer-songwriter and pianist Alicia Keys! 11:35 p.m.- Record of the year goes to 'This is America' Childish Gambino. 11:32 p.m. Arthea Franklin tribute going on right now! Andra Day, Yolanda Adams, and NC's own Fantasia! 11:17 p.m. The award for Best New Artist goes to Dua Lipa! 11:12 p.m. Saint Vincent and Dua Lipa are taking over the Grammy stage for a funky/pop performance! 11:05 p.m Cardi B wins Best Rap Album! 11:02 p.m. Chloe X Halle vocals are sooooooooo AMAZING! 10:42 p.m. - Best R&B album goes to H.E.R. even though her project she says was technically an EP. 10:35 p.m. -The Mowtown tribute was a nice throwback. Jennifer Lopez did a good job. 10:26 p.m. - Started off mellow but soon turned into a high energy performance in true Travis Scott fashion! 10:11 p.m. Lady Gaga is now gracing the Grammy the stage. 9:59 p.m. Diana Ross looks so gorgeous and she still has that lovely voice. Happy 75th Birthday Mrs. Ross! 9:34 p.m. Best County Album goes to Kacey Musgraves! 9:12 p.m. R&B songstress H.E.R. is taking to the Grammy stage now! She plays several instruments and is nominated for Best New Artist, Best R&B Song, and Best R&B Album. 9:00 p.m. The Dolly Parton tribute was very nicely done. 8:50 p.m. Post Malone is currently rocking the stage! 8:29 p.m. Janelle Monae is currently rocking the Grammy stage with her dancers and guitar. 8:21 p.m. Kacey Musgraves currently performing her hit 'Rainbows' in a beautiful white dress! 8:11 p.m. - Michelle Obama delivers a speech to huge fan applause! 8:07 p.m.- What a performance by Camila Cabello to open the show! 7:52 p.m. - Check out these looks from the Grammy red carpet! 7:45 p.m. - Here is the list of nominees for Album of the Year! 7:35 p.m. One performer that everyone will be looking forward to seeing perform tonight is Cardi B! 6:11 p.m. Former Fifth Harmony member Camila Cabello will open up the Grammy's tonight. 6:00 p.m. - A band with Triad roots is nominated for 'Best Metal Performance' tonight!